The patient was a 20-year-old asymptomatic man who was immunized against measles as a requirement for starting college. He had received his first dose of measles vaccine at approximately 1 year of age. Past medical history revealed that he was a hemophiliac and had contracted the human immunodeficiency virus from clotting factor (a blood product given to control bleeding) contaminated with the virus. Laboratory tests showed that he had a very low CD4+ lymphocyte count, indicating a severely damaged immune system. About a month after his precollege immunization, he developed pneumocystosis, a lung infection characteristic of AIDS, was hospitalized, had a good response to treatment, and was discharged.Ten months later, he was again hospitalized for symptoms of a severe lung infection. He had no rash. Multiple laboratory tests to determine the cause of his infection were negative. Finally, a lung biopsy was performed and revealed "giant cells," very large cells with multiple nuclei. Cytoplasmic and intranuclear inclusion bodies were also present.This picture was highly suggestive of measles pneumonia, and measles virus subsequently was recovered from cell cultures of the biopsy material. Other studies showed it to be the measles vaccine virus.The patient received intravenous gamma globulin and an experimental antiviral medication, ribavirin, and improved. Subsequently, however, his condition deteriorated, and he died of presumed complications of AIDS. 1. Is measles immunization a good idea for people with immunodeficiency? 2. Is it surprising that the vaccine virus was still present in this patient 11 months after vaccination? Explain. 3. Despite the severe infection, there was no rash.Why? derived vaccine virus, is declining, but outbreaks in colleges and other institutions still occur. A severely immunodeficient individual can be passively immunized against measles with gamma globulin if exposure to the wild-type virus occurs. 2. Measles is often given as an example of a persistent viral infection, meaning that following infection the virus can persist in the body for months or years in a slowly replicating form. 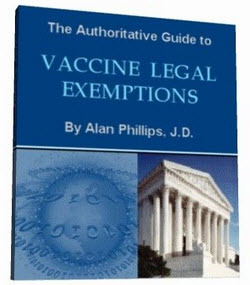 It has been suggested but not proven that this explains the lifelong immunity conferred by measles infection in normal people. In rare presumably normal individuals and more commonly in malnourished or immunodeficient individuals, persistent infection leads to damage to the brain, lung, liver, and possibly, the intestine. Subacute sclerosing panencephalitis can follow measles vaccination, but at a much lower rate than after wild virus infection. 3. Following acute infection, the measles virus floods the bloodstream and is carried to various tissues of the body, including the skin.The rash of measles is caused by T lymphocytes attacking measles virus antigen lodged in the skin capillaries. In the absence of functional T lymphocytes, the rash does not occur. 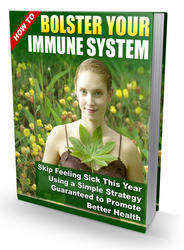 sustained viremia (meaning viruses circulating in the bloodstream). The blood transports the virus to various body tissues, including the skin and joints. Humoral and cell-mediated immunity develop against the virus, and the resulting antibody-antigen complexes probably account for the rash and joint symptoms. Humans are the only natural host for rubella virus. The disease is highly contagious although less so than rubeola; it is estimated that in the prevaccine era, 10% to 15% of people reached adulthood without being infected. Complicating the epidemiology of rubella is the fact that over 40% of infected individuals fail to develop symptoms, but can spread the virus. People who develop typical rubella can be infectious for as much as 7 days before the rash appears until 7 days afterward. Before widespread use of the vaccine began in 1969, periodic major epidemics arose. One epidemic in 1964 resulted in about 30,000 cases of congenital rubella syndrome. 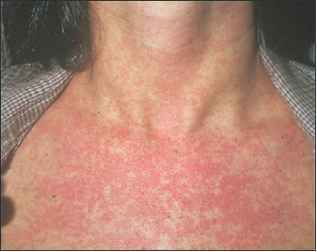 Figure 22.23 Adult with German Measles (Rubelia) Symptoms are often very mild, but the effects on a fetus can be devastating.